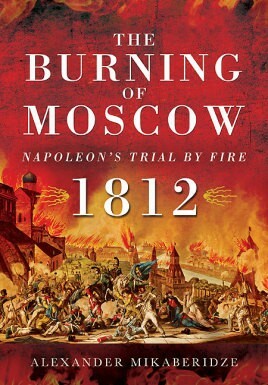 As soon as Napoleon and his Grand Army entered Moscow, on 14 September 1812, the capital erupted in flames that eventually engulfed and destroyed two thirds of the city. The fiery devastation had a profound effect on the Grand Army, but for thirty-five days Napoleon stayed, making increasingly desperate efforts to achieve peace with Russia. Then, in October, almost surrounded by the Russians and with winter fast approaching, he abandoned the capital and embarked on the long, bitter retreat that destroyed his army. The month-long stay in Moscow was a pivotal moment in the war of 1812 – the moment when the initiative swung towards the Tsar's armies and spelled doom for the invading Grand Army – yet it has rarely been studied in the same depth as the other key events of the campaign. Alexander Mikaberidze, in this third volume of his in-depth reassessment of the war between the French and Russian empires, emphasizes the importance of the Moscow fire and shows how Russian intransigence sealed the fate of the French army. He uses a vast array of French, German, Polish and Russian memoirs, letters and diaries as well as archival material in order to tell the dramatic story of the Moscow fire. Not only does he provide a comprehensive account of events, looking at them from both the French and Russian points of view, but he explores the Russians' motives for leaving, then burning their capital. Using extensive eyewitness accounts, he paints a vivid picture of the harsh reality of life in the remains of the occupied city and describes military operations around Moscow at this turning point in the campaign.